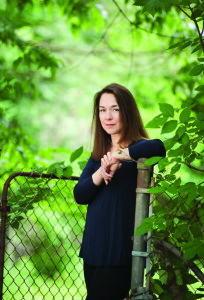 Novelist Lorrie Moore, author of “A Gate at the Stairs” and a finalist for the Story Prize, will give a public reading from her work this week as this year’s Zale-Kimmerling Writer in Residence at Tulane University. The event will happen on March 2 at 7 p.m. in the Kendall-Cram Auditorium in Tulane’s Lavin Bernick Center. She will read some of her work and then Tulane assistant professor Zachary Lazar will lead a conversation with her. After the program, there will be a book signing and a reception. Moore has written five collections of short stories and two novels. Her most recent work of short stories, Bark, was nominated for the 2014 Story Prize, an annual award for authors of short fiction. She has also received the Irish Times International Prize for Literature, a Lannan Foundation fellowship, the PEN/Malamud Award and the Rea award. She serves as a creative writing professor at Vanderbilt University. For more information about this event, contact Aidan Smith at (504) 865-5539.